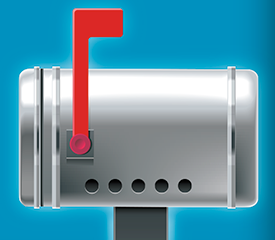 Want to get your share of the $45 Billion spent annually on Direct Mail? As a promotional products distributor, you’re in the perfect position to increase sales by introducing Direct Mail services to current and prospective customers. We’ll show you how in this 30-minute webinar. Presenting is Scott Perry, Director of Pre-Production Services at TradeNet. While “direct mail” is not typically considered a member of the promotional products family. Scott knows better. With 15 years of industry experience, Scott presides over the TradeNet Mail Services Department. This full-service mail house specializes in making it easy and economical for distributors to put mailed promotions into the hands of target audiences and deals with all aspects of direct mail promotions including production, list development, pre-sorting and fulfillment. Thanks, Kim, for 15 years of bringing home the mail! 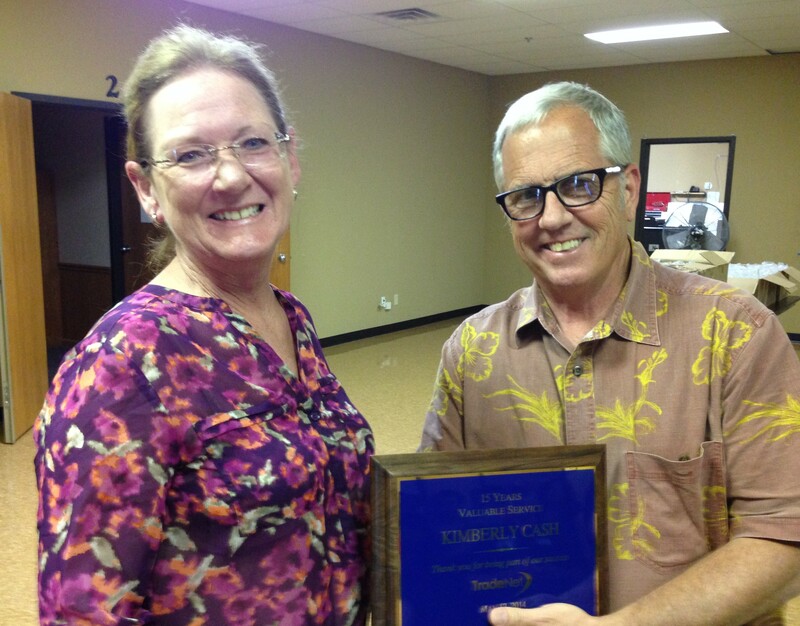 Tom Mertz, TradeNet President & CEO, thanks Kim Cash at a recent all-employee gathering. When Kim Cash was recognized this week for her years of employment at TradeNet Publishing, the 15-year mark may have actually sold things a bit short. That’s because if we took into consideration all the overtime and extra hours she’s given the company since coming aboard in 1999, Kim’s length of service could arguably be extended by a year or two, or three or more. Kim is a Mail Services Specialist, having worked on the “mail” side of order processing for almost a dozen years. She joined TN as a customer service specialist and ultimately transitioned into “Bulk Mail” on a full-time basis. For several years Kim was a one-person show handing mail services and going above and beyond to get the job done. The department has since expanded with Kim being an integral part of the process. Our Mail Services department has the ability to quickly and economically handle virtually all types of direct mail projects from start to finish, due in no small part to the expertise of Kim and her fellow team members. When Kim’s away from TradeNet, she enjoys gardening and cooking. (Her “neighbors” at TradeNet occasionally enjoy the benefits of Kim’s culinary skills. Who but Kim offers up chocolate cupcakes with an Oreo® and a Reese’s Cup® buried within?) She and husband have two daughters and two granddaughters, so no doubt Kim’s “real” family gets plenty of her attention. Thanks, Kim. Your TradeNet family appreciates all you do!